12AX7 Beijing is a Chinese 6N4 NOS tube equivalent to a 12AX7. 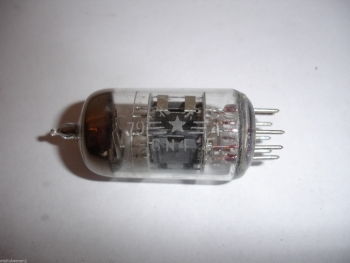 It was used by the Chinese Military and is much better quality than the currently produced 12AX7 which is a serviceable tube. 6N4 has a sweet detailed tone widely sought after by the guitar and audio connoisseurs. We select for noise and microphonics and offer 2 grades and options.